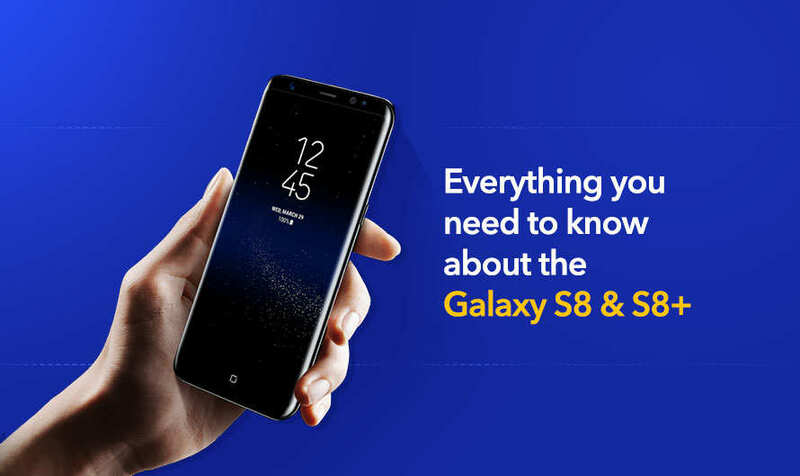 All there is to know about the Samsung Galaxy S8! You will love to feast your eyes and comfort your hand with this new piece of incredible technology released by Samsung. The South Korean giant has released their newest Galaxy phones in a recently held event. And Boy, I would love to get hands-on with the latest Galaxy S8 and S8 Plus smartphones. Not just the look and feel in hand, the brand touts that their new handsets offer some interesting unique features. Samsung introduces Infinite Display, which completely removes the bumps or angles. Thus, forming a complete continuous surface allowing an end-to-end screen that spills over the phone’s sides. 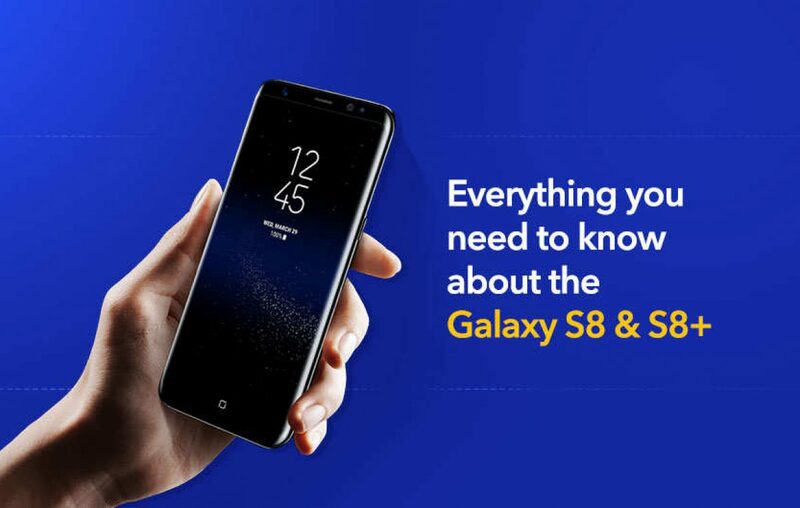 With Samsung Galaxy S8 & S8 Plus, the brand has literally set no boundaries. Talking about the numbers, the Galaxy S8 comes with a 5.8-inch display, whereas the Plus variant comes with a 6.2-inch display size. The new displays are Super AMOLED units featuring Quad HD+ (2960 x 1440) resolution. Thus, the resulting pixel density on respective handsets are high at 570 ppi and 529 ppi, despite their large screen size. Of course, the new screens feature Always-on-Displays. With a challenge to bring the edgeless display, the company has removed the iconic physical home button on their phones. The navigation keys have been made inconspicuous. They appear only when you need them. We like the fact that Home Key didn’t shift to rear as many brands have done in the past. The Home Key stays at the same place, just that it’s not physical. Instead, it uses a pressure sensor to imitate similar experience. That’s beautifully done. Samsung has introduced their own Siri/Google/Alexa like Assistant that speaks to your commands. Though, the company has taken a different approach here. Different because it’s not limited to voice search, but its horizon includes image recognition. Bixby is initiated by pressing and holding a dedicated button beneath the volume keys. Currently, the voice search is limited to a few functions. Such as asking to toggle Wi-Fi settings, share photos and perform a certain phone-centric search. It is not yet ready for internet search. The one interesting use of the image recognition is showcased in Bixby’s ability to use camera. Using the camera, this AI can assist you in shopping as it showcases online availability of the objects you scan such as smartwatches, books, Wines, etc. Note that it uses Google translate to convert 52 supported languages. It uses Pinterest to assist with image search. As for the Bixby Home, it is like Google Now cards, shows weather, news stories, and lives one swipe left of the home screen. Additionally, it recommends things based on habits of the user. The new Samsung Galaxy S8 & S8 Plus comes powered by world’s first 10 nm processor technology. It makes the CPU more powerful and efficient than it ever was. The 64-bit Octa-core chipset varies according to region. The brand ships Snapdragon 835 or Exynos 8895 SoC, depending upon the regions. Though, they both are touted to have similar horsepower. The new processor not only makes processing faster but also provides Gigabit LTE and Gigabit Wi-Fi support. Thus, expect faster downloads speed over mobile data or even over Wi-Fi. This is an improved addition to the new Galaxy S8 & S8 Plus. First introduced on the Galaxy Note 7, Iris scanner is claimed to be more accurate than it was before. Just above the display, you’ll find an Iris scanner, alongside the camera and an other-set of sensors. The company touts this as a security feature that’ll stop unwanted snooping. If you didn’t know already, patterns in your iris are unique to you and are virtually impossible to replicate. Thus, it is considered to be one of the safest ways to keep your phone private. The Samsung Galaxy S8 & S8 Plus are the most advanced smartphones you’ll see today in the industry. As seen, the company has changed the way design, performance, and security are approached on smartphones. These new handsets are the stepping stones to powerful mobile computing. The off-contract price in the United States are at $750 and $850, respectively. The handsets goes on sale from April 21, while the pricing and availability for India are unknown yet.